Eduardo Souto de Moura was popping up in all corners of Bologna last week! 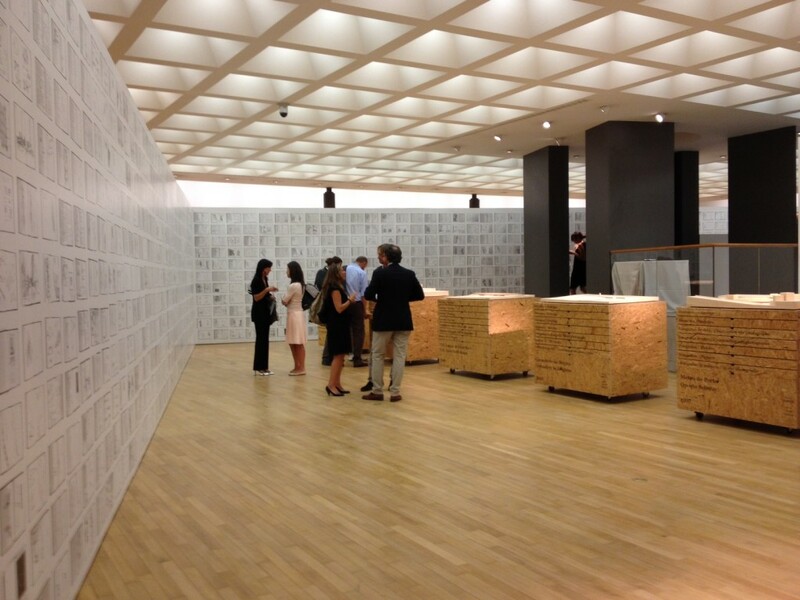 In addition to providing the keynote address at Cersaie last Friday – which drew a crowd of over 1,400 – we also found the Pritzker Prize winner signing books at the Pinacoteca Nazionale during the opening of an exhibition in his honor. 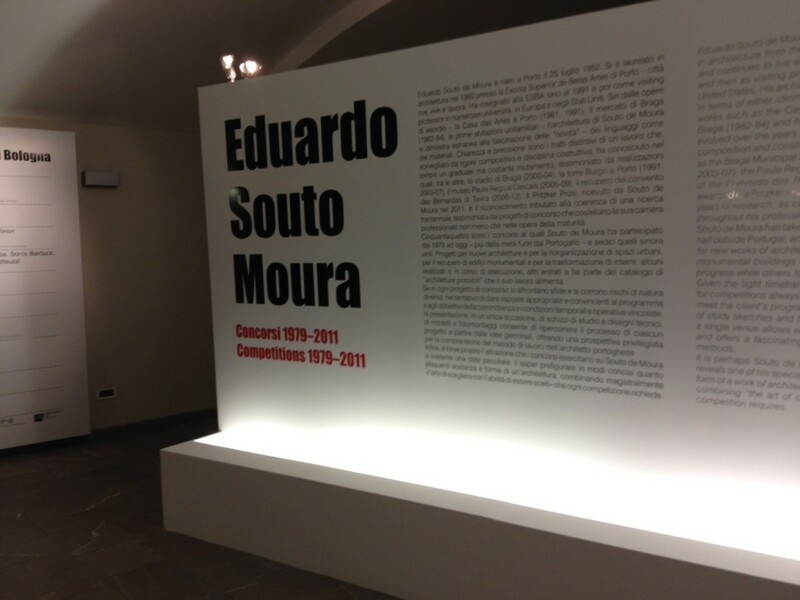 Curated by André Campos and Pedro Guedes Oliveira, Eduardo Souto de Moura: Competitions 1979-2011 is a beautifully designed exhibition documenting the architect’s work over the last 30 years. From walls blanketed in sketches to chipboard chest of drawers containing physical models, architectural drawings and photographs, it provides an insightful peak into Souto de Moura’s thought process and his symbiotic relationship to the natural environment.